Interactive slots (or iSlots) are a series of video slots developed by Rival Gaming. These are often storyline or stage based video slots with skill-based bonus games. They use eye-pleasing Flash graphics with great animations and sound effects. All of the iSlots can be found at any Rival-powered casino, such as Superior Casino. The term “interactive slot” comes from the fact that unlike your average video slot, the iSlots have skill-based bonus games. Rather than simply selecting three chests and winning whatever is inside, your prize is determined by how well you play. Just think of the last time you picked the wrong item and you only won 100 coins rather than 1000. This way, you can win the top prize available just by being skilled at clicking your mouse. The Rival iSlots also add a greater level of excitement by adding this element to their bonus games. Also, because many of the bonus games have multiple levels, you won’t be playing the same bonus game every time and will win greater prizes the further you go. We can’t recommend all of these iSlots enough. They are some of our favourite video slots to play anywhere. We want you to try them all, but if you’re picky, have a look at this list of the Top 10 Interactive Slots to find out which of these excellent slot games piques your interest. We have based this list on each game’s theme, payouts and special features including free spins, multipliers and of course the bonus games (which are the most important factor here). So have a look through this list and we are sure you will find at least one iSlot that you will love! 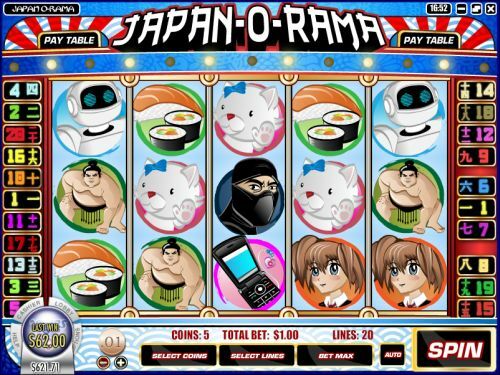 Japan-O-Rama is a 15-line interactive slot with a 1000 coin top jackpot, expanding wilds, the chance to win up to 20 free spins at a 3X multiplier and a bonus game. The theme is basically anything you can think of that is Japanese. There’s Godzilla, a sumo wrestler, a Geisha, a samurai sword, a ninja, anime girl and more. It’s actually one of the simpler iSlots you can find at Rival casinos, which is definitely a plus for many players. Hit 3 Sumo Wrestler symbols to reach the Pachinko bonus game. Unlike most iSlot bonus games that are based on skill, the Japan-O-Rama Pachinko bonus game will play itself out. Just relax and cheer on your Pachinko ball. Click Here to Play Japan-O-Rama at Superior Casino. Rock On is a rock-n-roll themed 20-line interactive slot. All your favourite legends of rock-n-roll are represented here, including Elvis, Paul McCartney, Jimi Hendrix, Sid Vicious, Ozzy Osbourne, Axl Rose and KISS. Features include an expanding wild with doubled winnings, 5 free spins with a 5X multiplier and a bonus game. If you’re a gamer, you will recognize the bonus game immediately as a simplified version of Guitar Hero. 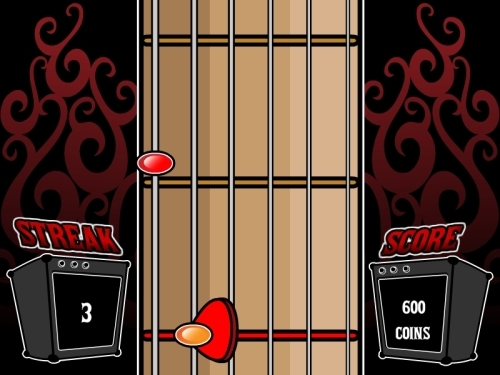 Simply move your mouse over the coloured notes coming down the fretboard to win the most amount of bonus cash possible. Click Here to Play Rock On at Superior Casino. Golf fans will love Rival’s sequel to the original Hole In Won iSlot. It’s a 15-line video slot with a 750 coin top jackpot, expanding wilds and a skill-based bonus game. 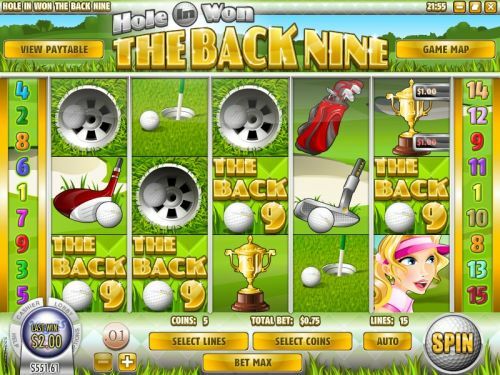 The main feature of the Hole In Won: The Back Nine iSlot is a golf bonus game. Every time you trigger the bonus game, you will get to play a new hole until you’ve played all nine holes. To play, aim with your mouse. The further away your cursor is from the ball, the more power your shot will have. To shoot, click the mouse. The better your shot is, the larger prize you will win! Click Here to Play Hole in Won at Superior Casino. Psychedelic Sixties is a 20-line iSlot that takes you back to 1967! It has a 2000X top jackpot, 10 free spins at a 5X multiplier and a bonus game. The bonus game is more like a regular bonus game. In it, you will go to various large cities to pick up people so they can experience the Summer of Love with you. Each person you pick up will award you with a different bonus prize. Click Here to Play Psychedelic Sixties at Superior Casino. 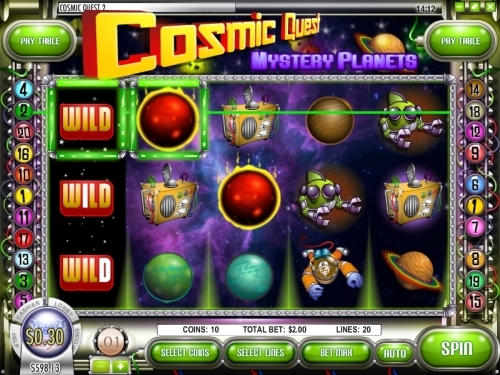 Cosmic Quest is a series of two 20-line iSlots – Mission Control and Mystery Planets. Both iSlots have wilds, expanding wilds and a 5000 coin top jackpot. Mission Control features the opportunity to win up to 10 free spins and a bonus game. The Asteroid Blasteroid skill-based bonus game has you playing as a ship with asteroids flying at you. The more you shoot, the more cash you will win! Click your mouse to shoot them down. Get hit three times and the bonus game will end. In Mystery Planets, you can win 10, 25 or 50 free spins at a 2X multiplier. The bonus game is also a skill-based game where you use your arrow keys to navigate your racer through an alien cave. If you don’t want to play the bonus game, you can choose a random prize as an alternative. Click Here to Play Cosmic Quest at Superior Casino. Bowled Over is a 20-line video slot from Rival with a 3000 coin top payout, expanding wilds with a multiplier, up to 40 free spins with a 4X multiplier and a bonus game. It’s one of the more basic iSlots, as there’s only one stage and it’s a lot more straight forward compared to some of the other ones. 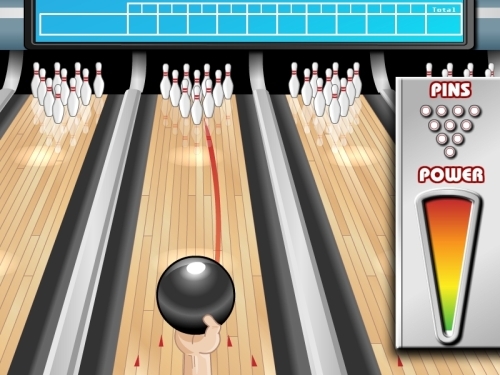 In the Bowled Over bonus game, you will get to play a frame of bowling. Choose your direction, time your power correctly and click your mouse to roll that ball down the lane. You’ll win a bonus prize based on how many pins you can knock down. Click Here to Play Bowled Over at Superior Casino. 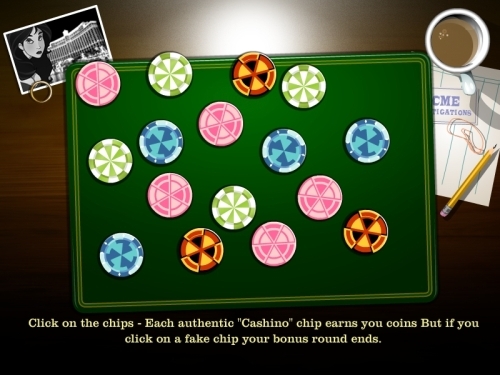 As the Reels Turn is a trilogy of interactive slots from Rival Gaming. All three of these slots are pretty similar, as they are each 15-line video slots with free spins, several bonus games, expanding wilds, scatter wins and lots more. Their top payouts range between 1000 and 1500 coins. As the Reels Turn is a soap opera themed series. You go through the slots, following the storyline and enter different stages (or scenes) as you progress. Each scene has its own special features and fully animated cutscene (like watching a cartoon). There is a lot to explore in the As the Reels Turn series, so we recommend that you play through them and play the many bonus games the three-part series has to offer. Click Here to Play As the Reels Turn at Superior Casino. 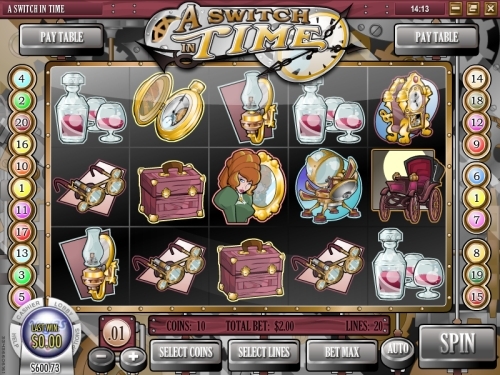 A Switch in Time is a time travel 20-line interactive slot. There’s lots of special features here, including an amazing 6789 top jackpot, wild symbols, expanding wilds, multipliers, the chance to win from 12 free spins at a 3X multiplier up to 78 free spins at a 9X multiplier. There are three different stages (Victorian, prehistoric and future) and each of these stages has its own bonus game. It’s actually like playing three games in one. The first bonus round takes place in the Victorian Era. Trigger it and you will push buttons to find your way either in the past or the future. If you reach the future, you will be greeted with new game symbols and features. In this stage, there is a Cyborg Attack bonus game. You will use your cannon (controlled by your mouse) to shoot down the cyborgs. If you find yourself in the past, you will also have a whole different set of symbols and features, including a bonus game where you get to fight a T-Rex! It’s like an RPG battle where you choose your weapon to attack the T-Rex. Click Here to Play A Switch in Time at Superior Casino. 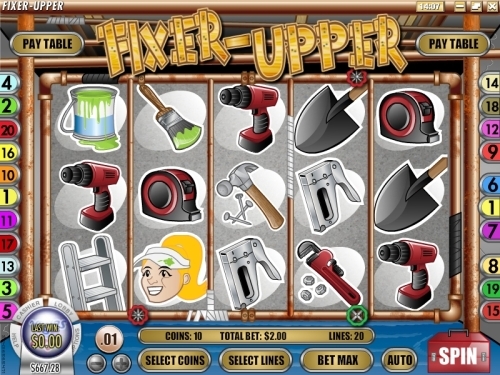 Fixer Upper is a home renovation/handyman themed 20-line interactive video slot. It has a huge 8,888 coin top jackpot, expanding wilds, from 15 to 50 free spins with a multiplier of up to 5X and three different skill-based bonus games. After you play the first bonus game, you will move onto the next part of the house. You start off with the plumbing, move onto painting and finally the backyard. There are three different bonus games to play in Fixer Upper. In the first game, you will get rid of the rusty pipes to fix your plumbing. In the second bonus game, you will be painting a wall and win a prize based on how much of the wall you can cover. 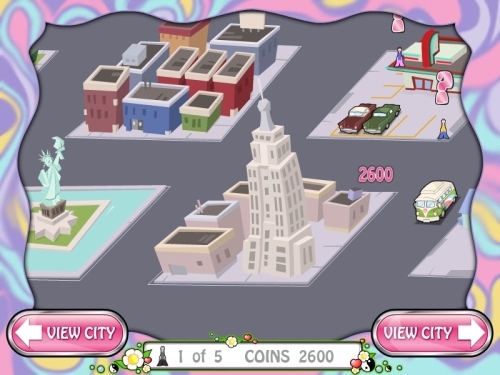 The third and final bonus game is a Whack-A-Mole style game. The critters will pop up in your backyard and you must use your hammer to pound them back into their holes. Click Here to Fixer Upper at Superior Casino. Heavyweight Gold is a 20-line iSlot with a boxing theme. There is a bonus game, expanding wilds and a 1000 coin top jackpot. Also, you can win up to 100 free spins at a 3X multiplier on Heavyweight Gold by landing 3 Ring Girl symbols. 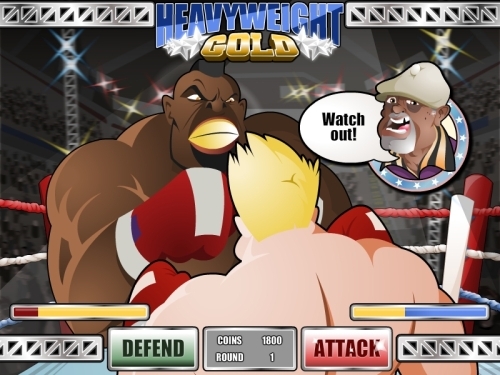 The Heavyweight Gold bonus game is a multi-level skill-based game. Every time you trigger the bonus game, you will fight a new opponent. Use the “Attack” and “Defend” buttons to knock your opponent out and win a bonus prize. Fight your way to the top by fighting all of the different opponents in Heavyweight Gold. Click Here to Heavyweight Gold at Superior Casino.